SACRAMENTO—At its public meeting on October 27 in Sacramento, the Judicial Council will consider requests from the superior courts in Mono and Tehama Counties for supplemental funding for fiscal year 2015–2016. The total amount requested by the two courts is $561,000. The council is required by statute to set aside 2% of the total funds appropriated annually in the Trial Court Trust Fund for urgent needs of the trial courts. The reserve, $37.7 million this fiscal year, is available for trial courts that suffer unavoidable funding shortfalls, unforeseen emergencies, and unanticipated expenses for existing programs. Appearance in Court for Infractions Without Deposit of Bail: The council will consider recommendations to amend rule 4.105 of the California Rules of Court, which directs courts to allow people who have traffic tickets to appear for arraignment and trial without deposit of bail, unless certain specified exceptions apply. The proposed amendments would apply the rule to non-traffic infractions and would require courts to consider the totality of the circumstances, including whether the bail amount would impose undue hardship, when setting bail amounts before trial. Adoption and Permanency Month Resolution: The council will consider adopting a resolution proclaiming November as Court Adoption and Permanency Month. The proclamation recognizes the ongoing efforts of California’s juvenile courts and their justice partners to provide children and families with access to fair, understandable judicial proceedings that lead to just permanency outcomes. Update From Council Liaison Visit to Madera Court: The council is scheduled to receive a liaison report on the Superior Court of Madera County (liaison reports are subject to change). Liaison reports give council members information on a court’s operations and challenges, as well as its solutions to increase efficiency and effectiveness in how it provides access to justice for the public. The meeting will be held Tuesday, October 27, from 9:45 a.m. to 1:35 p.m. at 2860 Gateway Oaks Drive, Suite 400, Sacramento, California. A live audiocast of the meeting will be on the California Courts website, and links to the meeting agenda and council reports are posted online. 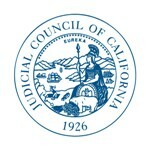 Note: The October 27 Judicial Council business meeting will take place in Sacramento, rather than San Francisco.